The original deadline set by the Northern Trust for lawyers (or at least those lawyers who don't have $2 million that they can leave on deposit with the bank at all times) to move their IOLTA accounts is rapidly approaching. The bank informed LTF that it has some leeway to accommodate lawyers who have not been able to move their IOLTA accounts to other financial institutions in advance of the October 3 deadline. Lawyers who need additional time should contact the bank directly. 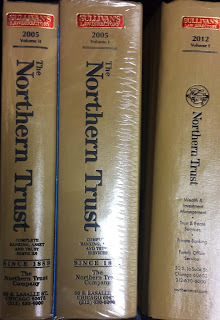 Northern Trust also explained that its actions to curtail the IOLTA accounts of many customers are driven by its business decision to become a “wholesale bank.” Regulations related to that status require the bank to target its services away from the retail banking sector that encompasses many IOLTA accounts, even many with sizeable deposits. 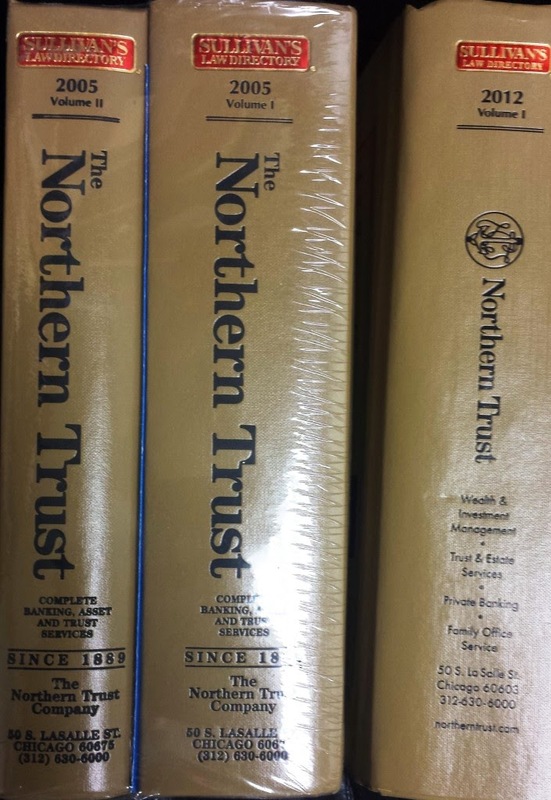 Although Lawyers Trust Fund regrets the disruption this has caused for many lawyers, LTF does not believe Northern Trust is targeting IOLTA accounts. Voters will have a choice of candidates in only one race in the 12th Subcircuit and one in the 4th Subcircuit. Ian Brenson did not submit materials for evaluation. The Council finds him Not Recommended for the Circuit Court. Sources within the Alliance told FWIW that the Alliance was not contacted by Brenson after he was appointed to the ballot. Moreover, the Alliance was unaware of Brenson's candidacy until recently. 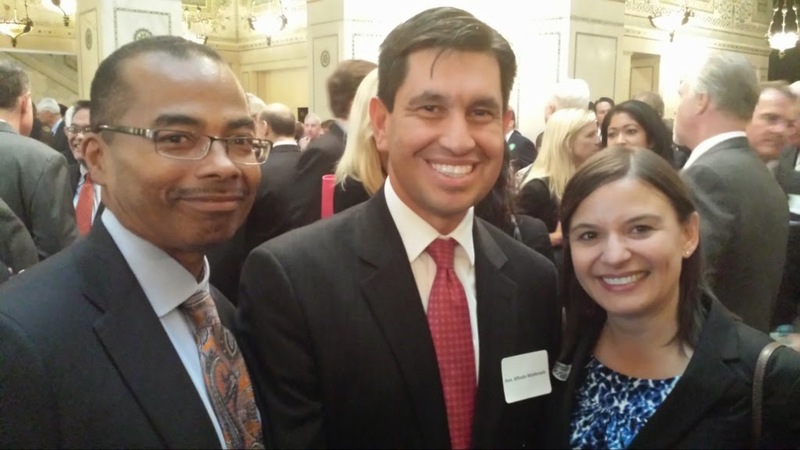 Brenson was rated Qualified by the Chicago Bar Association. The Alliance of Bar Associations for Judicial Screenings has released its ratings for candidates seeking election to judicial vacancies in November. As regular FWIW readers know (and as newbies will soon see) most of these races are uncontested. The good news is -- as you will see -- the various Alliance members have largely favorable opinions of the candidates who are (mostly) assured of election. Here is the key for reading the Alliance "grids." Clicking on any image may enlarge it or sharpen its focus depending on the device on which you are viewing this. A separate post on the two contested judicial elections is forthcoming. Continuing with a look at the release today of the Alliance retention ratings (the Chicago Council of Lawyers is an Alliance member) -- scroll down or click here for the complete Alliance "grids" on judicial retention candidates. Prior to becoming a judge, Ann Louise O’Donnell served as an Assistant Cook County Public Defender between 1987 and 1995. She was a solo practitioner focusing on criminal defense matters between 1995 and 2008. She was elected to the bench in 2008. She currently presides over the Preliminary Hearing Call. Her past assignments include serving as a floating judge in misdemeanor and felony branch courts. Lawyers report that she has the legal ability and knowledge necessary for her current assignment. Many lawyers, however criticize her judicial temperament as being unduly flip, sarcastic and rude. Judge O’Donnell was criticized by some lawyers for a recent practice (within the past year) of refusing to appoint an Assistant Public Defender to a number of indigent defendants in the belief that family members should have been paying for a private lawyer. She was doing this while failing to conduct a required indigency hearing – defendants were not being asked to complete the asset and liability form provided by the Circuit Court. More egregiously, she required certain of those defendants to return to her courtroom the next day with a private attorney, and continued to order these defendants to return each and every day until they were represented by private counsel. This sometimes went on for weeks, and was described by many as an abusive practice. Chief Judge Evans has now issued a General Order requiring an indigency determination before an Assistant Public Defender can be appointed or denied. Judge Annie O’Donnell is “QUALIFIED” for retention as a Circuit Court Judge. Judge O’Donnell was admitted to practice law in Illinois in 1987. Judge O’Donnell served as an Assistant Public Defender and was engaged in private practice as a criminal defense lawyer before her election to the bench in 2008. Judge O’Donnell is currently assigned to a preliminary felony hearing call in a branch court. Judge O’Donnell is well regarded by the lawyers who appear in her court for her knowledge of the law, diligence, and fine temperament. Alliance members other than the Council were split in their evaluations of Judge O'Donnell. The Black Women Lawyers' Association, Cook County Bar Association, Decalogue Society of Lawyers and the Illinois State Bar Association all agreed with the Council in recommending against O'Donnell's retention. However, the Women's Bar Association of Illinois, the Puerto Rican Bar Association, the Lesbian and Gay Bar Association of Chicago, the Hispanic Lawyers Association of Illinois, the Hellenic Bar Association, and the Asian American Bar Association of the Greater Chicago Area all advise a "yes" vote for Judge O'Donnell. 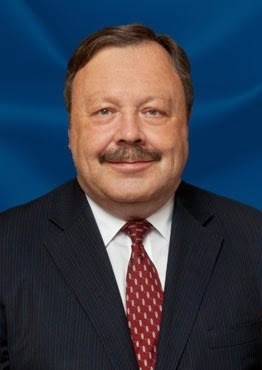 Thomas E. Flanagan has been a judge since his election in 1984. He has been assigned to the Law Division for most of his judicial career. Judge Flanagan hears civil jury cases at the Daley Center. Judge Flanagan is considered to have good legal ability. He is respected as a solid jurist with good temperament and case management skills. The Council finds him Qualified for retention. 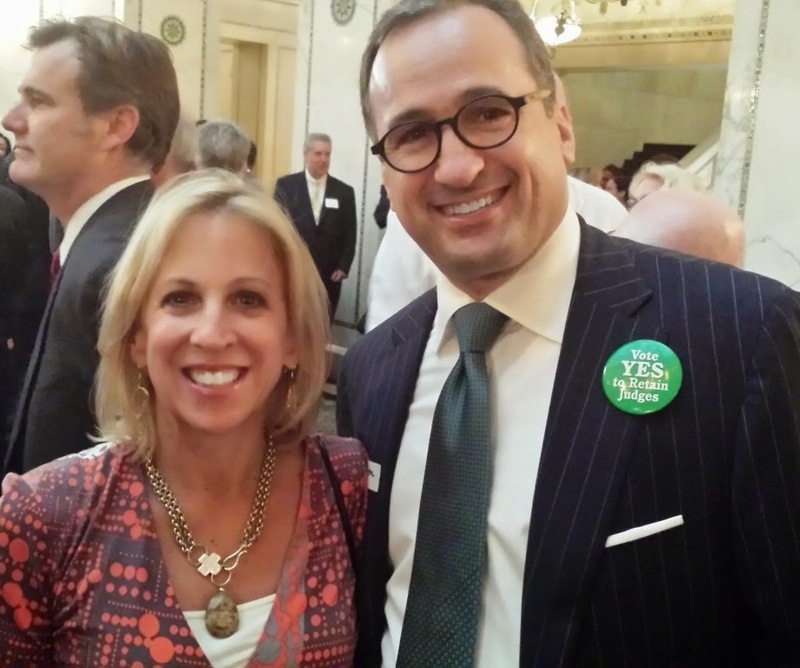 Every other Alliance member has also urged a "Yes" vote for Judge Flanagan. In my post last week about the CBA ratings, I mentioned that Judge Laura Sullivan had received a favorable rating from the CBA despite the controversy that erupted when a law professor was taken into custody in her courtroom while taking notes. The law professor later wrote about this experience in the Chicago Tribune and I wrote about the story in this post. Prior to becoming a judge, Laura Sullivan served as an Assistant Cook County State’s Attorney as both a trial attorney and as a supervisor. Judge Sullivan is currently sitting at the First Municipal District, where she presides over bond hearings. She was first elected to the bench in 2002. Judge Sullivan’s previous judicial assignments included the Traffic Court, Felony Preliminary Hearing Section, and Misdemeanor Section in the First Municipal District, and the Domestic Violence Division. Judge Sullivan is considered to have good legal ability and knowledge of the law. She is reported to be well prepared and hard working. Judge Sullivan has been criticized in the press on two separate occasions. While these incidents give the Council pause, on balance the Council finds her Qualified for retention. Five Alliance members do urge a "No" vote on Judge Sullivan, however. These are the BWLA, the CCBA, the DSL, the ISBA and the LAGBAC. Five Alliance members besides the Council recommend a "Yes" vote for Judge Sullivan. These are the AABA, the HBA, the HLAI, the PRBA, and the WBAI. Judges O'Donnell and Sullivan received the most negative ratings from Alliance members. Most Alliance members rated nearly all retention candidates positively. The Alliance member giving out the most negative ratings to retention candidates was the Lesbian and Gay Bar Association of Chicago, but LAGBAC rated 67 of 73 retention candidates positively. The Alliance of Bar Associations for Judicial Screening has issued its ratings for the one Appellate Court justice and the seventy-plus Cook County Circuit Court judges seeking retention in November. This "key" will assist the reader in understanding the ratings. Please note that, as FWIW reported on October 10, the HBA has changed its recommendation on Judge Joan Powell from "No" to "Yes." The Alliance has also released, or re-released, its evaluations of candidates seeking election to judicial vacancies in November. This will also be covered in a separate post. The Illinois Supreme Court yesterday terminated the appointment of Judge Freddrenna M. Lyle to the Taylor vacancy in Cook County's 7th Subcircuit. The termination order is "[e]ffective September 5, 2014, nunc pro tunc," nunc pro tunc being roughly translatable here as "backdated to." The order was necessary because, back in August, the Illinois Supreme Court appointed Judge Lyle to a new 5th Subcircuit vacancy, this one created by the retirement of Judge Jane L. Stuart. That appointment was effective September 5. The Taylor vacancy, meanwhile, will be filled on the first Monday in December when former Chicago Revenue Director and Water Commissioner Judy Rice is sworn in. Rice is unopposed on the November ballot for the Taylor vacancy. The word "contested" is rendered in quotes because so few of the contests on the November ballot are, in fact, contested. These could have been contested, however, at least arguably, if the Republicans slated a field of candidates in the countywide judicial races or in any subcircuit except the 13th (that's the mirror-image subcircuit where only Republicans file in the primary and Democrats abstain). But in nearly all of True-Blue Cook County (the 13th Subcircuit excepted), the winners of the Democratic judicial primaries would be heavy or even prohibitive favorites to win, whether they were opposed or not. So nearly all Cook County judicial hopefuls run as Democrats. If you're a November-only voter who has come here looking for information about your choices in races for the three Appellate Court vacancies and the many Circuit Court vacancies, you are destined for disappointment. Even if you live in the 4th or 12th Subcircuits, where the only two actual judicial contests will be decided, your choice will be limited to that one local race -- the three Appellate Court races and all 11 countywide Circuit Court races being just as uncontested there as elsewhere in Cook County. The good news for the public -- and if you see Mark Suppelsa, you might want to pass this along -- is that, in the opinion of the Chicago Bar Association, at least, all three unopposed candidates for the Appellate Court are at least 'Qualified' (Justice John D. Simon being rated 'Highly Qualified'), and 25 of the 28 Circuit Court candidates are rated either 'Qualified' or 'Highly Qualified.' In the 11 countywide vacancies, where no candidate is opposed, the CBA rates 10 of the 11 candidates are rated 'Qualified.' In the subcircuit races, 15 of the 17 candidates are rated 'Qualified' or better (four subcircuit candidates received the CBA's 'Highly Qualified' rating). In retention elections the CBA dispenses with the rating of 'Highly Qualified,' a rating it sometimes bestows on judicial candidates seeking election. The CBA's choice of using rating of only 'Qualified' or 'Not Recommended' in these races is consistent with the nature and purpose of the retention ballot, an up or down, 1 or 0, yes or no vote. Judges must receive a 60% (plus 1) yes vote to be retained in office. Justice Thomas E. Hoffman is “QUALIFIED” for retention as an Appellate Court Justice. Justice Hoffman was admitted to practice law in Illinois in 1971 and was appointed to the Illinois Appellate Court in 1993. Justice Hoffman was elected to the Illinois Appellate Court in 1994 and is the Presiding Justice of the First Division of the Illinois Appellate Court, 1st District. Justice Hoffman is highly regarded for his knowledge of the law, work ethic, and legal ability. 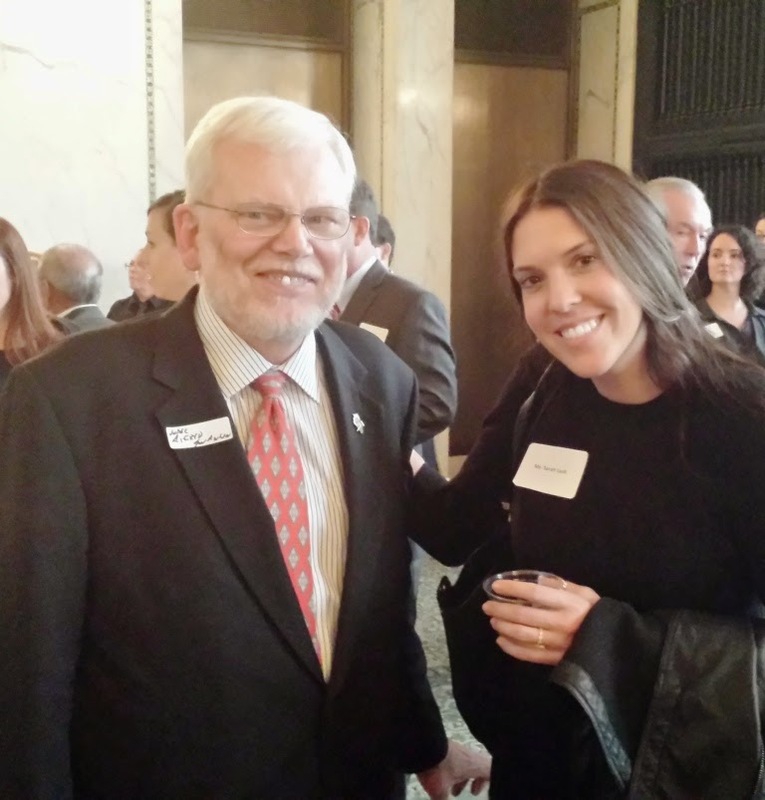 Justice Hoffman is always well prepared for oral arguments and brings a wealth of knowledge and experience to the Illinois Appellate Court. In addition to Justice Hoffman’s Appellate Court caseload, in 2000 he was appointed to serve on the Appellate Court’s Workers’ Compensation Division to decide appeals in Workers’ Compensation cases. Judge Thomas E. Flanagan is “NOT RECOMMENDED” for retention as a Circuit Court Judge. Judge Flanagan was admitted to practice in Illinois in 1965 and was elected to the Circuit Court in 1984. Judge Flanagan is currently assigned to the Law Division and serves in the trial section. 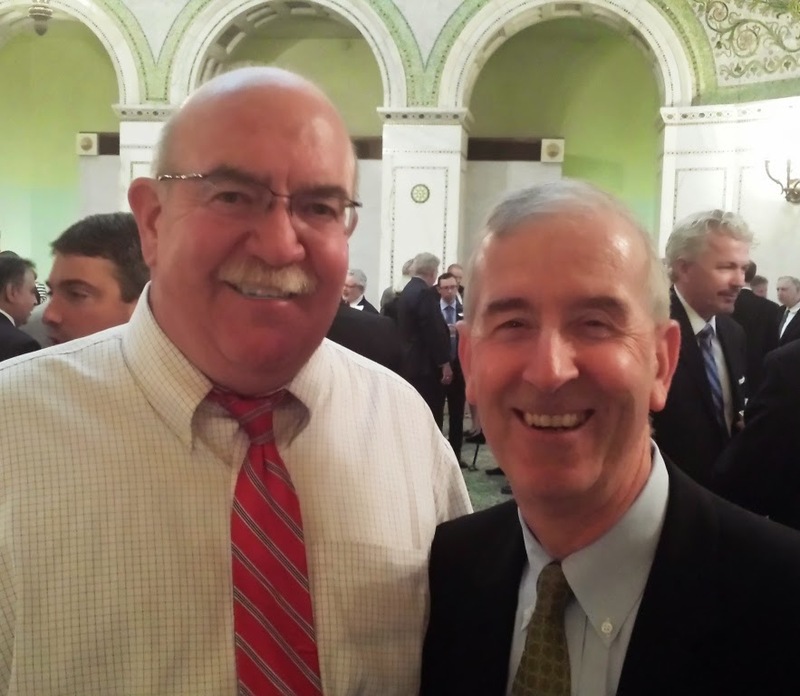 Judge Flanagan has had a distinguished judicial career and enjoys a fine reputation for his integrity. However, lawyers who have appeared before Judge Flanagan have expressed concerns about the judge’s ability to make decisions in a timely manner on motions and complex issues and to efficiently and effectively manage a trial call. Every other Circuit Court judge seeking retention in 2014 is rated 'Qualified' by the Chicago Bar Association. Persons downloading the Green Guide will see that some 'Qualified' ratings are more glowing than others, but the good news for the public is that, at least in the opinion of the CBA, nearly every single judge seeking retention is worthy of being kept in office. Judge Laura Marie Sullivan is “QUALIFIED” for retention as a Circuit Court Judge. Judge Sullivan was admitted to practice law in Illinois in 1988 and was elected to the Circuit Court in 2002. Judge Sullivan is assigned to Central Bond Court which sets bonds for defendants in the Criminal Justice System. Judge Sullivan is hardworking and well regarded for her knowledge of the law and well-reasoned, thoughtful decisions in a difficult assignment. The judge has been the subject of unwarranted and unjustified criticism and should be retained. The CBA has also released (or in all but one case, re-released) its ratings on judicial candidates seeking election to the bench. I will do a separate post on those ratings soon. When the Alliance of Bar Associations for Judicial Screening releases its ratings on Cook County retention candidates, FWIW will cover those as well. I've been telling FWIW readers for months now that there is only one contested judicial election on the November ballot. LaGrange attorney Ian Brenson will be on the November ballot as a Republican (his Democratic opponent is Assistant State's Attorney John J. Mahoney). That's a link to Brenson's campaign website in the preceding sentence. Brenson has been licensed as an attorney in Illinois since 1989. Brenson was not a candidate in the March primary. Readers may wonder how a person can qualify to run for judge as a Republican or Democrat without going through the primary process. I did. My initial confusion arose from my dim recollection that a prior attempt by a political party to appoint a judicial candidate to the November ballot without going through the primary process was rejected by the Illinois Supreme Court. If the Supreme Court has already said it can't be done, how could Mr. Brenson and the Republicans do it now? The case I sorta, kinda remembered turned out to be Bonaguro v. County Officers Electoral Board, 158 Ill.2d 391, 634 N.E.2d 712 (1994). Lester Bonaguro was elected in the 1992 primary as the Republican candidate for the "B" vacancy in the northwest suburban 13th Judicial Subcircuit (1992 was the first year for subcircuit elections in Cook County, you may recall). No candidate filed for the Democratic nomination. However, after the primary, the Democratic Party selected Arthur L. Janura as its candidate in November. Janura had not been nominated in the primary or by petition; rather, he had been selected as the Democratic Party's candidate pursuant to the provisions of §7-61 of the Election Code, 10 ILCS 5/7-61. The Circuit and Appellate Courts determined that the method of filling vacancies prescribed by §7-61 was not in fatal conflict with Article VI §12(a) of the Constitution. See, Phelan v. County Officers Electoral Board, 240 Ill.App.3d 368 (1992)(agreeing that interpreting section 12(a) to forbid a political party from filling vacancies in nomination would be "a restrictive interpretation" inconsistent with principles of constitutional interpretation). The Supreme Court's majority opinion, authored by Justice Freeman, did not reach the constitutional question. After first deciding that the case was not mooted by Bonaguro defeating Janura at the polls in 1992, the Supreme Court determined that "the Election Code does not authorize a political party to fill a judicial vacancy in nomination by party resolution" (158 Ill.2d 397). In an opinion joined by then-Chief Justice Bilandic and Justice Nickels, Justice Heiple concurred with the majority's conclusion that §7-61 did not provide a proper means of nominating Janura. However, Justice Heiple would have reached the constitutional question -- and he would have resolved that against Judge Janura as well (158 Ill.2d at 402): "The constitutional provision at issue is clear. Section 12(a) prescribes that judicial candidates must be nominated by primary election or by petition. It does not contain any provision for nomination by political party resolution to fill a judicial vacancy in nomination." Bonaguro, by itself, would seem to auger poorly for Mr. Brenson's candidacy. However, the pertinent provisions of the Election Code have changed since Bonaguro was decided. (f) The judicial district committee of each political party in each judicial district shall be composed of the chairman of the county central committees of the counties composing the judicial district. In the organization and proceedings of judicial district committees composed of the chairmen of the county central committees of the counties within such district, each chairman of such county central committee shall have one vote for each ballot voted in his county by the primary electors of his party at the primary election immediately preceding the meeting of the judicial district committee. (g-1) The judicial subcircuit committee of each political party in each judicial subcircuit in a judicial circuit divided into subcircuits shall be composed of (i) the ward and township committeemen of the townships and wards composing the judicial subcircuit in Cook County and (ii) the precinct committeemen of the precincts composing the judicial subcircuit in any county other than Cook County. In the organization and proceedings of each judicial subcircuit committee, each township committeeman shall have one vote for each ballot voted in his township or part of a township, as the case may be, in the judicial subcircuit by the primary electors of his party at the primary election immediately preceding the meeting of the judicial subcircuit committee; each precinct committeeman shall have one vote for each ballot voted in his precinct or part of a precinct, as the case may be, in the judicial subcircuit by the primary electors of his party at the primary election immediately preceding the meeting of the judicial subcircuit committee; and each ward committeeman shall have one vote for each ballot voted in his ward or part of a ward, as the case may be, in the judicial subcircuit by the primary electors of his party at the primary election immediately preceding the meeting of the judicial subcircuit committee. If the name of no established political party candidate was printed on the consolidated primary ballot for a particular office and if no person was nominated as a write-in candidate for such office, a vacancy in nomination shall be created which may be filled in accordance with the requirements of this Section. If the name of no established political party candidate was printed on the general primary ballot for a particular office and if no person was nominated as a write-in candidate for such office, a vacancy in nomination shall be filled only by a person designated by the appropriate committee of the political party and only if that designated person files nominating petitions with the number of signatures required for an established party candidate for that office within 75 days after the day of the general primary. The circulation period for those petitions begins on the day the appropriate committee designates that person. The person shall file his or her nominating petitions, statements of candidacy, notice of appointment by the appropriate committee, and receipt of filing his or her statement of economic interests together. These documents shall be filed at the same location as provided in Section 7-12. The electoral boards having jurisdiction under Section 10-9 [10 ILCS 5/10-9] to hear and pass upon objections to nominating petitions also shall hear and pass upon objections to nomination petitions filed by candidates under this paragraph. A candidate for whom a nomination paper has been filed as a partisan candidate at a primary election, and who is defeated for his or her nomination at such primary election, is ineligible to be listed on the ballot at that general or consolidated election as a candidate of another political party. At least with regard to subcircuit candidates, it seems pretty clear that the legislature has tried to respond to the constitutional objections that were raised (if not decided) in Bonaguro. Even after being anointed "by the appropriate committee," a candidate must circulate and submit nominating petitions, collecting the same number of valid signatures as if he or she were filing for the primary. The late-filing candidate's nomination papers are expressly made subject to the same objections as those filed by a primary candidate. This would appear to satisfy the "petition" requirements in Article VI, §12(a). Also, the term "vacancy" has been specifically redefined to include the situation where no candidate filed for the primary. Because no objections were filed to Mr. Brenson's candidacy, the questions raised in Bonaguro will not be revisited. But I can't help but think that, based on the current language of the statutes, the objections that succeeded in Bonaguro would have failed in this case. Speaking as a non-specialist, I wonder whether the same result would obtain if the Republicans had tried to put up a countywide candidate. There is no specific counterpart to the judicial subcircuit committee that applies in Cook County. The circuit court committee created by §7-8(g) applies only outside of Cook County. In Cook County, would the judicial district committee be (as it was at the time of Bonaguro) a committee of one, namely, the county party chair? Unlike the judicial subcircuit committee expressly provided for by §7-7 and referred to in §7-8(g-1), there is no judicial committee identified in §7-7. Thus, the "judicial committee" of §7-8(f) is not expressly authorized for "the purpose of making nominations in certain instances as provided in this Article." Would that make a difference? My suspicion is that it would. Does an unenforced smoking ban in Chicago's parks encourage or erode respect for the law? That's a great, high-sounding principle and most people haven't thought about it since high school civics. If they even have high school civics classes anymore. But we can remain a government of laws only so long as people respect and believe in the laws, and in the rule of law. As a lawyer, and as an American, I believe wholeheartedly in the rule of law, and I am distressed by anything that tends to undermine the respect of my fellow citizens in the law. The classic example of a law eroding respect for the law is the Volstead Act, the Act of Congress that implemented the provisions of the 18th Amendment -- the law that was meant to implement Prohibition. Rich people toasted Prohibition -- thinking it would encourage a thrifty and sober working class -- at dinner parties where champagne and brandy flowed. Just about any brand of whiskey could be had at the Harding White House, according to Alice Roosevelt Longworth, daughter of Teddy and wife of Nicholas, a prominent congressman (Speaker of the House from 1925 to 1931). The Washington Post feature, from which this tidbit is lifted, notes that at least some of the booze served at the Harding White House, at the height of Prohibition, was procured from liquor confiscated in raids by Prohibition agents. And the urban working class that was expected to actually live with Prohibition flouted the law just the same as their bosses, patronizing speakeasies and making millions for organized crime. America has still not fully recovered. Nor, apparently, have Americans learned that passing laws that one either can not, or will not, enforce, or at best enforce selectively, erodes confidence and respect for the law. But despite the new resolution, thousands of Chicagoans attending Riot Fest in Humboldt Park this weekend will not be ticketed, according to Park District Supt. Mike Kelly. The maximum fine for an “egregious offender who refuses to put out a cigarette in the face of repeated warnings” is $500, said Tim King, the Park District deputy general counsel. To his knowledge, he added, no such fines have yet been issued since the first ban was implemented in 2007. Chicago Police will have the responsibility to enforce the ban, according to Rodriguez's article. There was apparently one concern raised by Park District Commissioner Vice President Avis LaVelle. Rodriguez quotes LaVelle as stating, "I think we have to have a more concrete idea of how this might be enforced." The newspaper articles suggest that the ban won't be routinely enforced -- and it couldn't possibly be routinely enforced, given police manpower limitations. The proponents of the measure want people to enforce it themselves -- to shame their fellow citizens when they light up (or toke up -- marijuana and even medical marijuana are also subject to the ban). Sure, that'll work. I shudder to think what may happen to the first nice old lady who scolds a gang of toughs for smoking in the park. If any enforcement ever takes place, I am very much afraid it will be in 'sweeps,' as police use the ordinance as a pretext to roust persons deemed undesirable by someone. The local alderman. The local police commander. Business owners or highly-clouted persons living near a park who pressure the local alderman and/or police commander. Ah, you say, those young toughs will ignore that sign, too. But I'm worried about the old lady who will lose a little respect for all laws when she sees that this new law is not enforced and, worse, when she is verbally or even (heaven forbid) physically abused if she tries to enforce it herself. Criminal statutes or ordinances are not symbols. When a law or ordinance is passed that is not to be enforced and can not be enforced fairly and uniformly, we erode respect, just a little, for all our laws. And we damage our nation and endanger our future in the process. An aside to the Sun-Times Early and Often Webmaster: I read Ms. Sfondeles' article in the actual, printed newspaper this morning. On your website, however, I found the Tribune article before I found your own. Somehow, I doubt that was your intent. Preston Bradley Hall was jammed for last night's reception honoring judges seeking retention in Cook County. 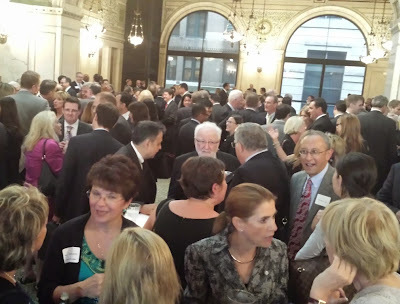 Retired Appellate Court Justice Marvin H. Leavitt, the Co-Chair of the Lawyers Committee of the Committee for Retention of Judges in Cook County, the reception's sponsor, said he was pleased with the turnout, which he estimated to be similar to previous reception events. Many of the retention judges were sporting flashing blue buttons. 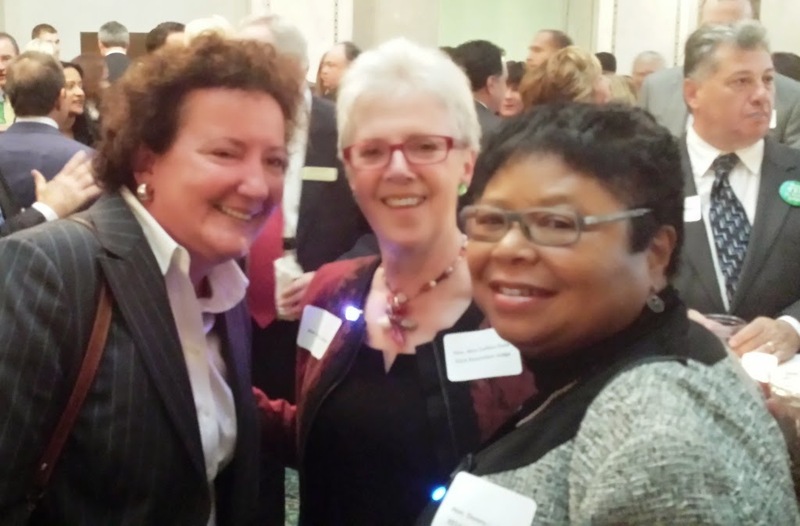 Shown here are two of the retention candidates, Judge Ann Collins Dole (center) and Judge Donna L. Cooper (right). A good many other sitting judges came out to support their colleagues' retention bids. Associate Judges Franklin U. Valderrama and Alfredo Maldonado were among these. Judge Alfred M. Swanson, Jr. was present to support his colleagues seeking retention. Also supporting their colleagues were Judges Edward M. Maloney and Patrick T. Rogers. 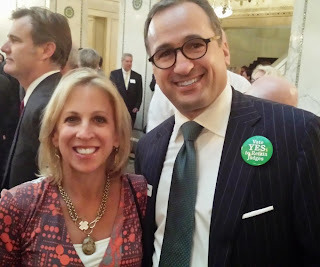 Judge Kay M. Hanlon also turned out to support the cause; she is shown here with her husband, attorney James E. Hanlon, Jr. The proceeds of this reception are used to support the retention bids of all the Cook County judges seeking retention this year. Cook County Judges Vanessa A. Hopkins and Noreen Love have asked to have their names removed from the November election ballot. Judge Hopkins was elected to the bench in 1996 from the 1st Subcircuit. Judge Love was elected to a countywide vacancy in 2002. The Illinois Civil Justice League has updated its IllinoisJudges.net page for the upcoming November election. While the primary focus of this blog is Cook County, the ICJL covers judicial races across the entire state. Collar county and Downstate voters will want to visit IllinoisJudges.net to check for election and retention candidate responses from their own jurisdiction. But, meanwhile, here's a list of Cook County judges seeking retention this year who have responded to the ICJL questionnaires as of this morning. Clicking on any name will take you to that judge's response. This page of the ICJL website shows all judicial retention candidates statewide. Check on that link for updated ICJL questionnaire responses from Cook County judges (and for responses from judicial retention candidates outside Cook County).